It was not Miyako causing Hana to break out in a cold sweat this time. Miyako's mom wants her to go and buy some new clothes. 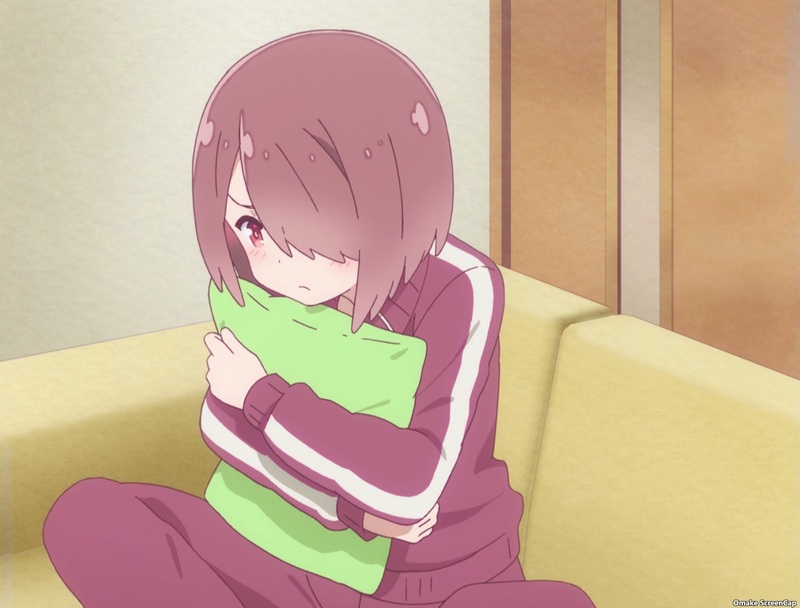 Miyako is resistant to any activity that makes her talk to other people, but Miyako's mom makes a certain face that none of children can refuse. Hana enjoys her pizza at home. It appears that everyone decided to go to the mall on their day off. It was fun to see the characters in the backgrounds of transition scenes before everyone actually met. 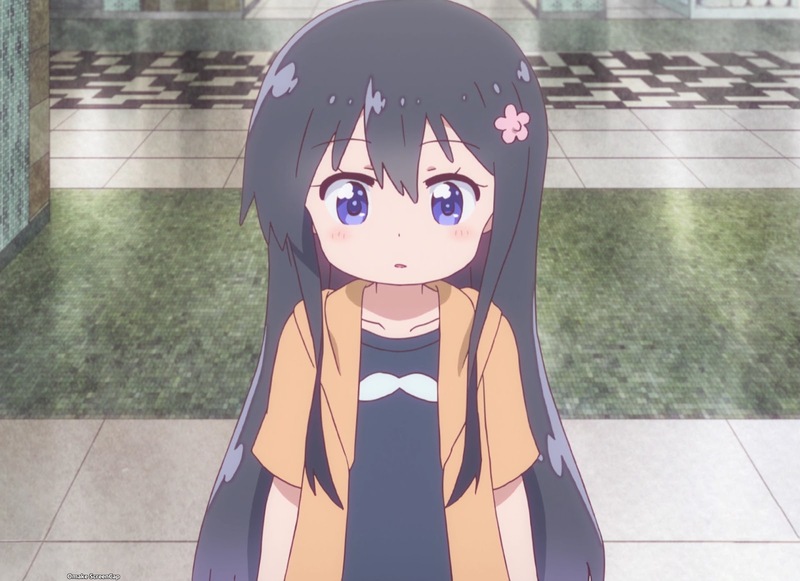 The big development of the episode was meeting Yu and Miyako. That's Yu, Koko's little sister, and Miyako their cute little dog. Also revealed, Yu knew exactly who the "real Miyako" was because of all the pictures Koko has of her. Lots and lots of pictures of her, like in her cosplay outfits. 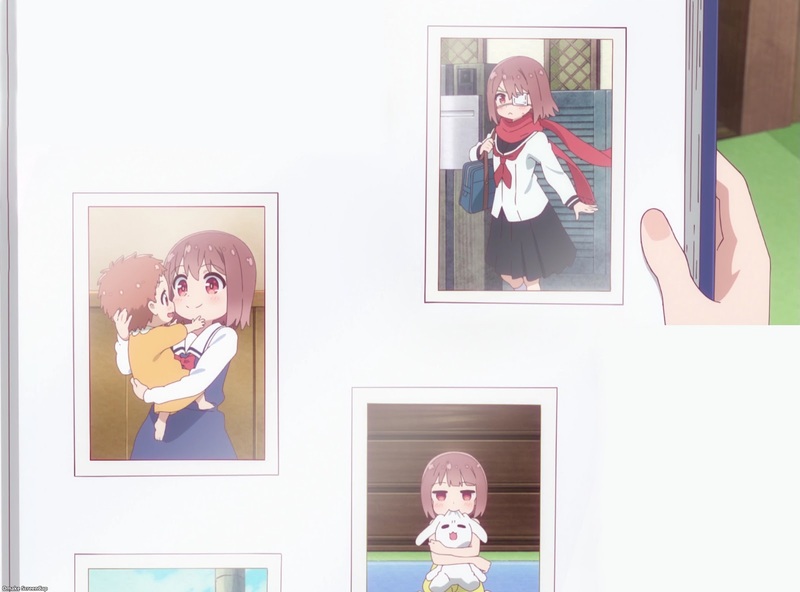 Miyako's mom did some reminiscing about Miyako in an old photo album and it's no surprise to see Miyako went through a chuunibyou phase.